Purchasing real estate subject to an existing mortgage is a great investing tool when implemented correctly. In Part 1 of this series, What is the Subject To Real Estate Investment Strategy?, I explained what buying Subject To is, why a seller would agree to it, and what exit strategies are available to investors who use this strategy to acquire their properties. In this post, I expose some of the benefits and risks to you and the seller when purchasing property Subject To an existing mortgage. 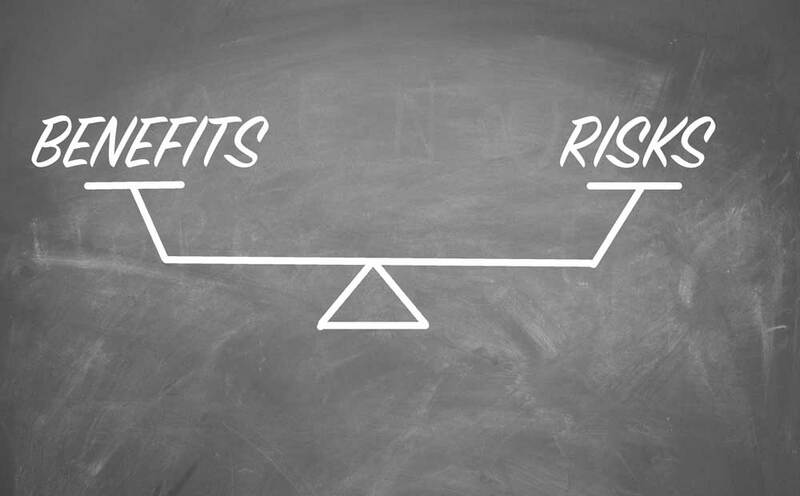 I will offer both sides of the coin so that you can make an educated decision as to whether these benefits outweigh the risks for you as an investor. I will also give suggestions for what you can do to avoid some of the negative outcomes possible with this strategy. Let’s start with the party most impacted by these agreements: a property owner who is selling you their house subject to their existing financing. What are the benefits of a Subject To agreement to the seller? With many of the properties that you come across that are candidates for a Subject To transaction, the seller is particularly motivated to sell, but cannot do so using traditional methods. This may be because of the urgency of their financial problems, the lack of equity in the property, the condition of their property, or some other circumstances relating to financial hardship. One of the biggest benefits to the seller is the speed with which a sale of their property can occur, because it’s not necessary for the buyer to obtain new financing, or for the seller to repair the property. This has the effect of potentially relieving their immediate financial pressures. Whereas a typical closing process can often take weeks from when a contact is signed, closing on a property without the need for a new loan, can happen in just a few days. When a seller is behind on their payments and is about to enter the foreclosure process, by agreeing to sell their property Subject To, the seller will benefit from you getting them current on their payments, and they may in turn keep their credit intact, or even improve it over time as you make timely payments on their behalf. If the seller has no equity in the home and is behind on payments, then they may not be able sell their home using traditional on market methods, or even afford to pay off their loan. If seller has little or no equity they would have to pay some closing costs in a traditional sale, money that they may not have available. In other cases, the property may need considerable rehab to get it up to current on market sale standards, and the seller simply may not have the funds to do that. Your offer to take over their mortgage payments might just be the solution they need, where they may not have any alternative options. What are the benefits of Subject To for you? No waiting on paperwork to pass through numerous hands to close the deal. An off-market transaction like this, one without the need for a new loan origination and all of the paperwork necessary to make that happen, can close very quickly to get the property under control with little money down so that you can employ your exit strategy. One of the main benefits of this strategy is that because you are not getting a new loan for the property, that you don’t need any credit. You can save money with this strategy in a few ways. Since you are not getting a new loan, you won’t need a down payment. You won’t incur any lender fees. While your arrangement calls for you to pay the monthly mortgage, and you have a legal obligation to keeping that agreement, if something goes wrong with the loan and the home is put into foreclosure, it’s the seller’s credit that takes the hit, not yours. Because you are not assuming the loan or getting a new loan, you have no credit risk if you were to default on the payments. From that standpoint, you are only risking the money that you put into it, which could be very little. What are the risks of Subject To investing? How can you mitigate them? Although Subject To can have significant benefits to both parties, it comes with deal risk to both the end-buyer and wholesaler, and significant personal risk to the seller, all of which should be weighed and mitigated as much as possible before undertaking such a transaction. The biggest risk to both parties comes from the due-on-sale clause written into virtually every loan. This clause, also called an “acceleration clause,” allows the lender to call the loan due in the event that the property is sold or deed is transferred. If the buyer is not prepared to pay off or refinance the loan, then the lender can enter foreclosure proceedings and risk both the seller’s credit and the buyer’s title to the property. There are three strategies that Subject To end-buyers can use to try to mitigate the effects of this clause, each of which comes with additional risks. By notifying the lender, you increase the risk of the lender calling the loan. Although in many cases these transfers are approved, especially when transferring between family members, or into estate trusts, when it comes to deed transfers between unrelated parties, this is not always the case. Not notifying the lender is also an option, if you are comfortable with a certain level of uncertainty. This is frequently accomplished with the creation of a land trust with the seller designated as the initial beneficiary prior to the sale, and you becoming the beneficiary at transfer. Ultimately, the best mitigation strategy to prevent getting the loan called is to resell or refinance the property. This investment strategy heavily relies on the seller taking on the majority share of the risk in the following ways. Because the liability remains with the seller, this is definitely more risky to the seller than a traditional on-market sale, or even a traditional wholesale arrangement. If the investor buyer were to stop paying the note, the credit risk remains with the seller, and the notice of default and subsequent foreclosure will appear on the seller’s credit report. One way for the seller to mitigate this risk is to evaluate the buyer’s ability to pay the note. A mortgage has the most significant impact on a person’s Debt-to-Income ratio, and maintaining one mortgage, usually prevents the seller from obtaining any additional financing. This includes not only the inability to obtain a second mortgage on the house, which the seller no longer has title to, but also any other type of financing whether for car loans, or credit lines. This may be by far the biggest long-term risk to the seller, which should give them the most pause before entering into this kind of agreement. If the investor buyer holds onto the property indefinitely, for example as part of their rental portfolio, the seller may be bound by the terms of the agreement until the original mortgage is paid off, which is completely out of their control. The seller’s only recourse may be to file suit to try to invalidate the contract creating a potential risk for the investor buyer. If you, the buyer, are unable to maintain the payments on the property, while you may not experience a default on your credit report, your interest in the title will be extinguished. This could be a significant problem, if for example you rehabbed the property. In that case, not only will you lose the title, but you will also lose any equity or moneys that you put into the property. The most obvious lawsuit to avoid is for non-payment of mortgage. A Subject To purchase is a legal agreement, and you have an obligation to perform. Because there is a potentially high long-term negative impact to the seller once the transaction is completed, especially due to their inability to get more financing and get out of the current loan, the longer you hold the property, the higher the risk to you that the seller will want to get out of the contract and may look for ways to do so. For example, there is always the possibility that once a seller is out of financial danger, they could turn around and try to claim that you took advantage of them, suing for the return of their property. In these cases, the onus is on you to prove you did not strong-arm them into the agreement against their will. Although it’s generally pretty hard for a seller to win a remorse suit, having agreed to a well-executed contract, defending litigation is expensive and time-consuming, and you should avoid getting into a situation where a seller might have remorse. In my opinion, the best strategy to protect yourself from these kinds of suits is twofold: disclosure and disposal. First, to protect yourself from a lawsuit, always disclose to the seller their risks, including that the loan will remain in their name, and that it will remain on their credit, and that there is a risk of foreclosure on their credit. At a minimum, make sure the disclosure is in writing and signed by both you and the seller. Second, in my opinion you should ensure that the existing mortgage in their name gets satisfied in shortest amount of time possible after you get control of the property, whether by reselling the property, or if you want to keep the property in your portfolio, by refinancing it into your own name. For these reasons, if you encounter a seller that is at all unsure about going through with the transaction, it may not be in your best interests to continue. If they are not 100% on board at the beginning, they definitely won’t be on board at the end. The bottom line is that your level of aversion to risk will guide you in whether this arrangement will ultimately work for you. You should now be aware of some of the pros and cons of using the Subject To real estate investment strategy, both to motivated sellers and you as the investor. Although these agreements can relieve a seller’s immediate financial pressure, the negative long-term impacts on the sellers mean that you should also be extremely transparent by making them aware as to how they will be affected when transferring title in this way. Additionally, although you should definitely consider using this strategy as a way to creatively acquire properties, I caution you to avoid keeping the property Subject To for an extended period of time. With this knowledge, you should be able to avoid some of the potential risks inherent to this strategy, and keep yourself out of the court system. In Part 3, I’ll dive into the steps to a successful Subject To deal, step-by-step from beginning to end. This includes performing due diligence, formulating the offer, the types of documents needed, and how to complete the transaction.